While staying in an RV Park in Florida, during March of 2004, I met seventy eight year old Zane King and his lovely bride, of fifty eight years, Mary Lucille. Zane and "Celie", as he affectionately called her, were spending the winter just across the street from us. At first we just waved and spoke, but as time passed we began to have conversations. We talked about the weather, where we were from, our families, our lives, and our work. During those conversations it came out that I had written and published a book, "I Can Hear The Guns Now", about my father's time in World War II. That led to him telling me he was a World War II veteran. That peaked my interest especially, after having spent a couple of years learning about and writing my father's World War II story. So, I probed a little and asked a few questions, and he seemed receptive to my questions. Just a general note about WW II Veterans, most are very reluctant to talk about their experiences during those horrible times in their lives. Most of those that came home after the war just bottled up, deep inside, those terrible times and horrible sights they had experienced and went on with their lives. They never spoke about those horrifying times, sounds, and sights that had disrupted their young lives. Seeing that he was willing to tell me about some of his wartime experiences, I asked if I could take some notes and later write a story about him. He agreed. Zane King told me he was born January 6, 1926, the middle child of five, on the Western Shore of the Chesapeake Bay at Chesapeake Beach, Maryland. He said he was born there, raised there, and had lived all of his life there, except for his winters in Florida. He said, "I live close enough to see the place where I was born and raised". Zane told me he volunteered for Army duty in July of 1944, when he was seventeen. He said that when he told his father, a WW I veteran, that he had enlisted to fight in the WW II his father said to him, "son, war is hell". Zane then added, in his unique Chesapeake Bay Western Shore accent, "war is hell". He followed that with, "I saw horrible things, bodies were everywhere, buildings were destroyed, artillery would tear up the trees, debris was everywhere". Then he said, "my father was right". Zane seemed to be enamored with the ability of our WW II fighter pilots saying, "we had some really good pilots". Then he described how they would come in low headed straight for a target, and at the last second roll their plane up on it's side as they made a sharp turn release their bombs at just the precise second to deliver them right on the target. 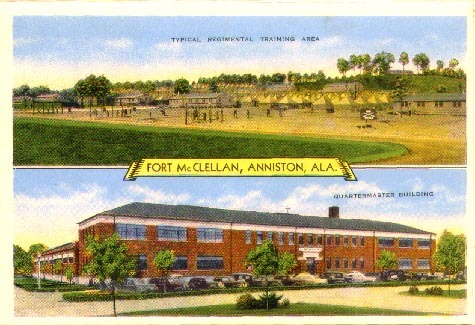 I should tell you that when Zane enlisted he was sent to Fort McClellan, Alabama, for his basic training. He said he only spent six weeks in basic training. From there, he was sent to Boston, Massachusetts. 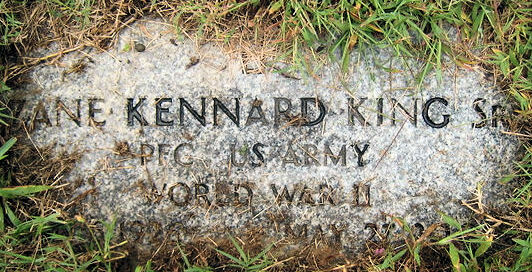 He shipped out of Boston harbor early in September of 1944, on a Liberty ship built by the Kaiser Corporation. He went across the Atlantic in a one hundred ship convoy. Zane said it took them twenty-one days to make the crossing because they were using a zig zag pattern. The pattern was to decrease their risk of being targeted by a submarine. Zane said, "being raised around the water all of my life I could read, from the stern of the ship, the trail in the water when it would make a turn in it’s zig zag pattern". 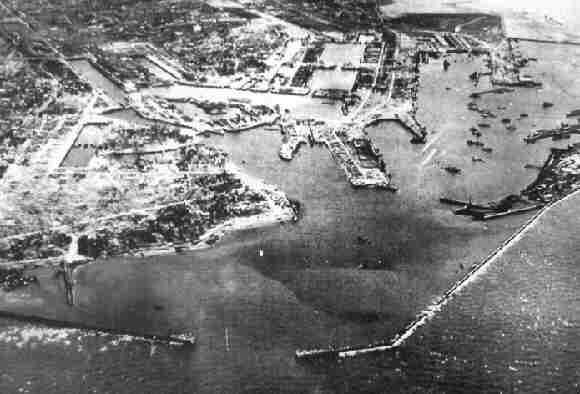 They arrived in Le Havre, France, at the end of September, 1944. Zane King said he fought in Belgium and ended up going into Germany under General Courtney H. Hodges with the 1st Army, 2nd Infantry, 9th Regiment, Company L as a "foot soldier carrying a Browning rifle". To the best of his recollection he thinks he was in the 3rd Platoon. He said, "I didn’t pay much attention to where I was.... I was just trying to stay alive". Zane told me a story I had never heard before. He said, "just after crossing into Germany, and backed up to the Siegfried line as they were heading for Aachen, the Germans opened the steel door of a concrete bunker and rolled out an "88" cannon and began firing." Then he said, "the Germans quit firing and rolled the cannon back inside the bunker, and closed the steel door. When they did the U.S. troops ran up with a welder and welded the door shut." He said, "nothing or nobody could get out". He said he only witnessed that once. Zane said they fought through Aachen, and then just outside of Aachen in the Huertgen Forest he was wounded in the abdomen. He was evacuated to a hospital in Liege, Belgium, for treatment and time to heal. He said, "Once I was healed up I was sent back to my outfit. I caught up with them at the Rhine River, just after the Battle of the Bulge. We had the Germans on the run and were advancing quickly." Then he said, "three days after joining my outfit I was wounded again. I didn’t realize I was hit until I felt the blood running down into my shoe." He said, "a field medic sewed it up and I stayed with my outfit. We were pushing the Germans back and things were moving quickly". Zane showed me a scar on the front of his lower right leg just below the knee where that long ago field medic worked his magic. Zane said they were in Czechoslovakia a few days before the war ended when they captured a complete German tank division. He said the division was out of fuel, ammunition, and supplies, so they just gave up. He said he was in Plzen, Czechoslovakia when word came that the war had ended. Zane King was the recipient of a Purple Heart and had been promoted to Buck Sergeant by the time World War II ended. We talked about both of those situations. He said he received the Purple Heart for his "stomach wound". When I asked him how he got to be a Buck Sergeant so quickly he dismissed the conversation with, "They would make you and break you in a day’s time". I asked if he had received that promotion in the States, and he said, "no, Germany". I could tell by the way he looked down and fidgeted when I asked about his promotion to Buck Sergeant that I was probably stirring up old, long ago, buried memories. I could see I was probing around in an area that he was reluctant to talk about. So, I stopped right there. Zane came home from World War II on the USS Grant. He said the crossing coming back only took seven days. He came back into Boston and was shipped to Ft. Bragg, North Carolina, where he received his discharge. I asked Zane if he was going to Washington, D.C., to attend the dedication ceremony of The National World War II Memorial on May 29th. His answer was, "I don’t know" then he adamantly said, "That Memorial should have been built fifty years ago". I agreed!